Well, here we are coming up with something brand new. Introducing, for the first time ever, "Flight of the Bumblebee". You might say to yourself, “On a music Box?”. 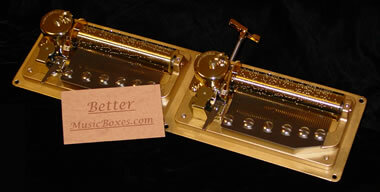 Yes, you heard me right, on a music box! I have been working on this arrangement now for 5 years. So far as we know, this tune has never been produced on a music box in all history. First, lets talk about the music itself. The music is quite spectacular and exciting. It's hard to believe what you are hearing. The average person thinks to himself, "How could you get that many pins on a cylinder?" Note, there are over 1,400 pins! What the average person does not take into consideration is the fact that this is produced on the 100 note movement. As you start listening to the music, you notice how the notes are divided between the 2 combs. If you listen carefully, you can almost see the Bumble Bee in your mind. The music is great. Now, lets talk about what is so unusual about this 100 note movement. Up to now, all 100 note movements only have one tune in three parts. But this particular movement plays 3 tunes altogether. They are, "Flight of the Bumblebee", "The Fish" (from Carnival Of the Animals) and "March Of the Marionettes". 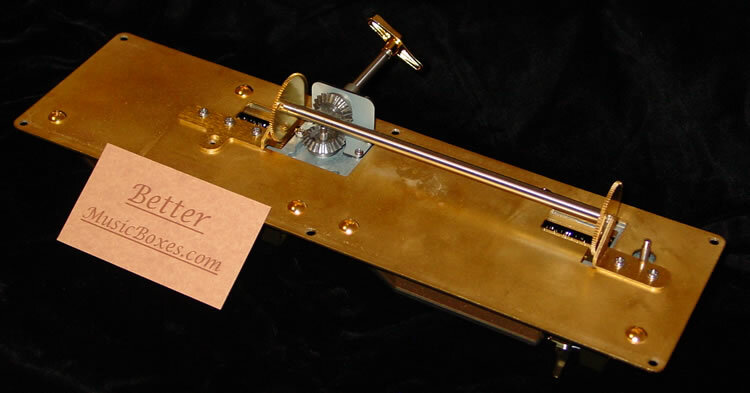 We think this music box will be a hit. Why not try one for yourself. I think that you will find it striking. You won't get stung on this one.